Bravehearts’ Vision is to make Australia the safest place in the world to raise a child by 2020 which is driven by the organisation’s three piers to educate, empower and protect Australian kids from sexual assault. Bravehearts services consist of school-based prevention programs as well as training, counselling, support and advocacy for survivors. The organisation also engages in research and important legislative reform agenda and operates in four states across the Eastern sea board with headquarters in Queensland and offices in New South Wales, Victoria and Tasmania. 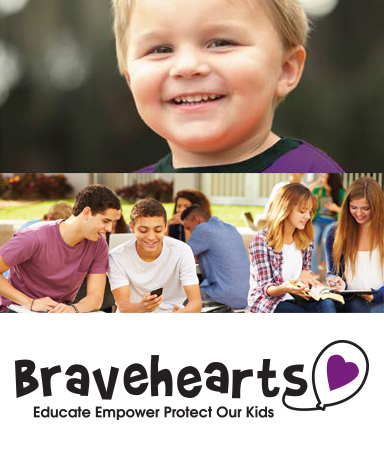 Bravehearts aims to educate, empower and protect by providing healing and support, engendering child sexual assault prevention and protection strategies; advocating for understanding and promoting increased education and research.